It’s a fact that so many of us deal with a lot of unwanted stress in our lives and we wish we could just relax and let the tension unwind from our bodies and our minds. The biggest problem is that we just don’t know how to free our minds for even five whole minutes. The good news is that there is a great form of relaxation that is becoming incredibly popular with so many people – and better yet with astonishing results. 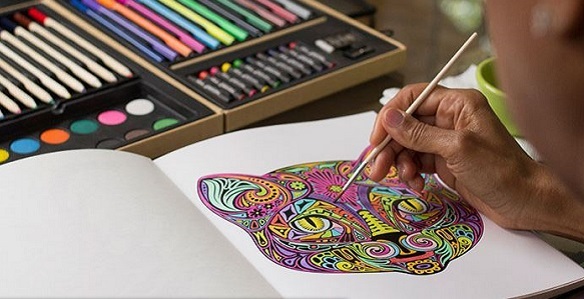 The Colorama adult coloring book by TeleBrands was one of the company’s biggest hit products in years… so big in fact that two new coloring books have been introduced, Colorama Cats and Kittens and Colorama Magic Path. Cats & Kittens, the brand new adult coloring book from the makers of Colorama. Enjoy hours of stress-free fun while you color playful kittens and create the most colorful calicos you’ve ever seen. It’s so fun and easy to do; you can’t make a mistake! From stalking tigers to stained glass Siamese, you’ll find relaxation on every amazing page. 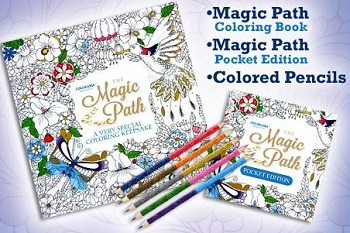 And then there’s Magic Path with beautiful pages, from gorgeous butterfly gardens, tropical paradises, to lush floral landscapes. Use colored pencils, markers, watercolors, and more to make Magic Path come alive. You’ll get over 100 beautiful designs that are beautifully detailed and waiting for your personal touch.